Participants (medical librarians) constantly thank us for providing access to an entire menu of electronic resources from which to choose, generally every spring and fall. The majority of medical librarians do not have the time to negotiate with individual vendors and evaluate resources; nor do they have the budgets to purchase resources without our “group purchasing power” of consortia pricing. Our regular participants appreciate our ability to offer current, relevant, quality resources at the best prices possible. Since the HSLANJ GLI is a non-profit organization, we are not a reseller. We work on behalf of medical librarians to provide the highest value and best products and/or services to our participants. The National Network of Libraries of Medicine, Mid-Atlantic Region (NNLM/MAR), and Southeastern/Atlantic Region (SE/A) fully recognize and endorse the HSLANJ GLI as the lead organization capable of assisting libraries in their efforts to utilize multi-dimensional electronic resources. Specifically, what are the benefits of working with the HSLANJ GLI? A single point of contact for trials, billing, licensing, renewal, and administrative support for more than 120 regularly-participating hospital and medical libraries in the MAR and SE/A markets. Easy entry point to obtaining new clients with the opportunity to offer products/services on a trial basis. Significant financial and human resource savings are enjoyed by a centralized process for negotiating and licensing. Establishing brand recognition and loyalty with key hospital and medical librarians. Other opportunities exist to connect with key personnel at hospital and medical libraries ranging from marketing benefits to thought leadership opportunities. In summary, establishing a relationship with the HSLANJ Group Licensing Initiative as one entity, grants you instant access to more than 120 (and growing) individual, potential clients who otherwise would not have the time or ability to purchase directly from vendors. Your materials have the capacity for wider usage among a core group of innovative, leading-edge Mid-Atlantic and Southeastern Atlantic medical facilities. What expectations does the HSLANJ GLI have of vendors? Transparent pricing is mandatory; resources will not be offered without pricing. We require vendors to verify list prices and demonstrate the savings of a consortia offer. We ask all vendors to appoint a single point of contact for two primary reasons—ease of communications, as well as a single fiduciary. We prefer (in the following order): 1—An agreement on the use of SERU Recommended Practice, 2—An umbrella license agreement that follows the Liblicense Model License, or 3—A negotiated umbrella license. What is the HSLANJ GLI’s track record? To our knowledge, the HSLANJ Group Licensing Initiative was the nation’s first group licensing consortium specifically for the benefit of hospital and medical libraries. Hospitals throughout New Jersey and Delaware successfully linked through initial efforts nearly a dozen years ago. Still gaining momentum, the group expanded into additional mid-Atlantic markets such as Pennsylvania and New York thanks to funding support from NNLM/MAR beginning in 2010. The group is currently welcoming participants from the SE/A Region thanks to additional funding support from the NNLM/SE/A. What is the background of the HSLANJ organization? Founded in 1972, Health Sciences Library Association of New Jersey (HSLANJ) is a non-profit organization with the goals of encouraging the professional development and advancement of librarianship and improving the quality of library services provided by health care organizations in New Jersey. The Group Licensing Initiative, formed in 2002 under the umbrella of HSLANJ, researches, approves and establishes relationships with vendors, negotiating all pricing and assisting members with licensing needs. The Group Licensing Initiative is managed by medical librarian/consultant Robert Mackes and guided by a committee comprised of members from different-sized health facilities in the region served. 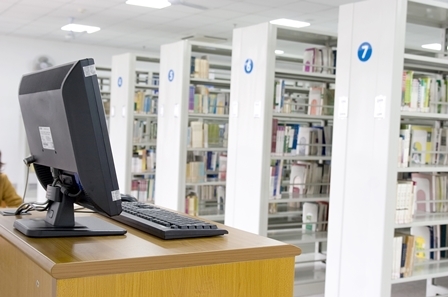 There are more than 120 regularly-participating medical libraries, representing a wide variety of hospitals and medical institutions, but linked by one common bond: the need for high-quality, cost-effective electronic resources.